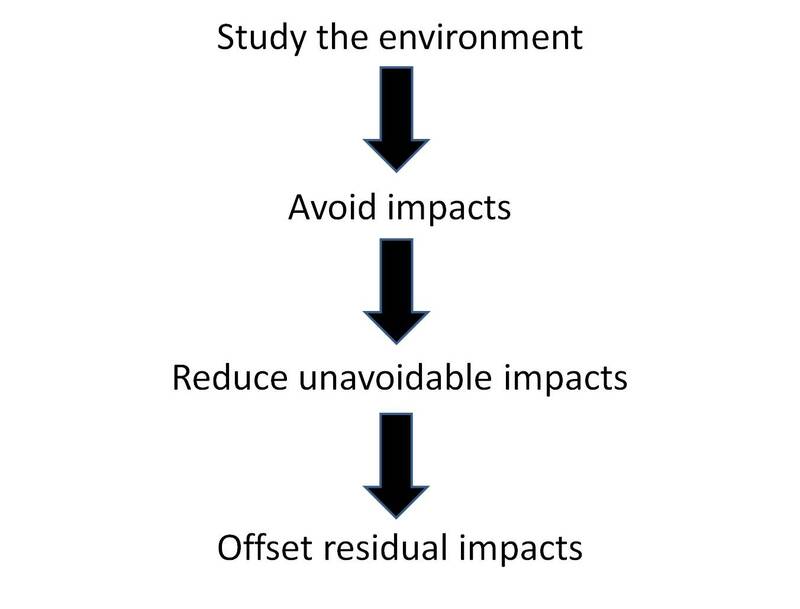 The standard mitigation hierarchy is to avoid impacts on the environment, reduce impacts that could not be avoided and only offset residual impacts. 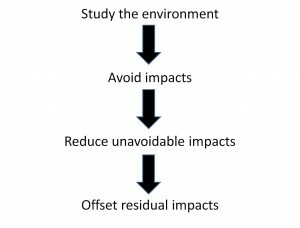 Applying this mitigation hierarchy requires precise knowledge on the environment that might be impacted, in order to design appropriate measures to avoid and reduce impacts as well as design and size offsets. To underline the importance of this knowledge, why not add “study” to this hierarchy?